There is a satisfaction that comes from sharing your genius. Your greatness cannot be measured by money alone. As you serve your purpose, you build true wealth. Yet for many social activists their relationship with money is challenging. Financially empowered women share common beliefs and behaviors that create sovereignty and prosperity. Do you want to hear the wisdom of a woman whose mission is to revolutionize women’s relationship with money? 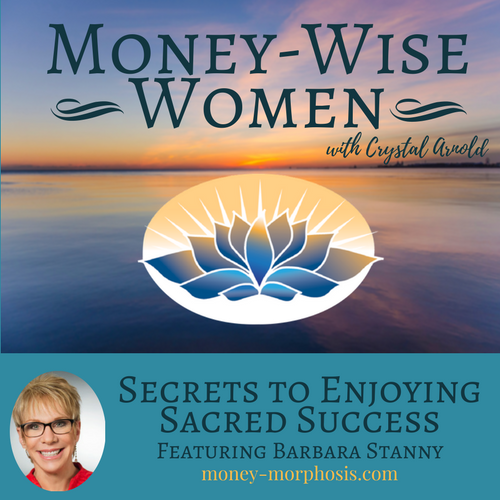 “Money-Wise Women” guest Barbara Stanny is an expert on women’s financial issues. She has interviewed countless financially successful women and applied their wisdom to create greater prosperity for her and her clients. Her background in business and journalism, her master’s degree in psychology, her extensive research, and her personal experience with money give her a unique perspective. She is an accomplished motivational speaker, author, and former career consultant who empowers women to live up to their financial and personal potential. Barbara’s husband of 15 years (a stockbroker) turned out to be a compulsive gambler who lost most of her inheritance. After their divorce he left the country, and she was surprised with a tax bill for more than a million dollars. Her father was a wealthy man who co-founded H&R Block, yet refused to pay her bill. As mother to three young daughters, she was determined to become financially empowered. This painful experience resulted in transforming her career to become a leader in financial literacy for women. Since the 2008 financial meltdown, Barbara has seen that women are motivated to become more educated about money. It is essential to boost women’s confidence so they can get beyond managing their daily finances to also building long-term wealth through investing. Studies show that 82% of women don’t invest because of a lack of confidence. Women are often scared of power and financial responsibility. Yet to effectively use money for positive social change, women have to step into their power. Even many women alumni of the Harvard MBA program whom Barbara spoke with were ashamed to admit their messy personal finances. Many were terrified to go to a financial professional. Listen to this inspiring episode with one of the pioneers of financial success for women. Barbara’s three-pronged approach with clients addresses the inner work (attitudes, beliefs, decisions), outer work, and higher work. Integrating a woman’s interior dimensions with their outer expression and spirituality is effective for creating wealth and well-being. Barbara Huson (formerly Stanny) is on a mission to motivate women to become financially empowered. Her first book, Prince Charming Isn’t Coming, grew out of her interviews with financially savvy women. Her next two books, Secrets of Six-Figure Women and Overcoming Underearning®, focused on helping women go from financial survival to financial stability. Her focus today is on helping women move from stability to affluence with her new book, Sacred Success®: A Course in Financial Miracles. She also wrote Breaking Through: Getting Past the Stuck Points and Finding a Financial Advisor You Can Trust. 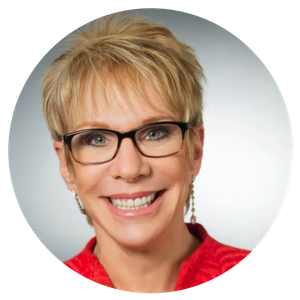 Barbara offers ReWire: Mind Training for Wealth Building 4-day retreats, Overcoming Underearning webinars, and One Year to Wealth: Becoming a Savvy Investor teleclass. Barbara Stanny has been featured on Good Morning America, The View, Extra, The O’Reilly Report, and many times on CNN, MSNBC, CNBC, Fox News, PBS and NPR, as well as the New York Times, and USA Today. Visit her web site at https://www.barbara-huson.com/ to learn more. Disclaimer: There is an affiliate link to Barbara’s book in this post.